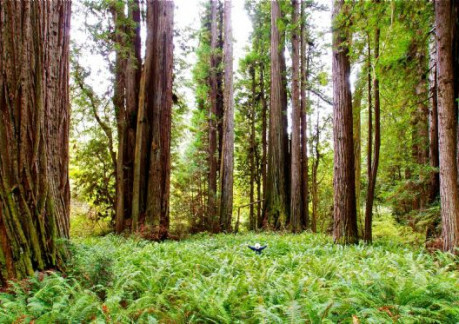 Prairie Creek Redwoods, a California State Park, is sanctuary to old growth redwood forest. 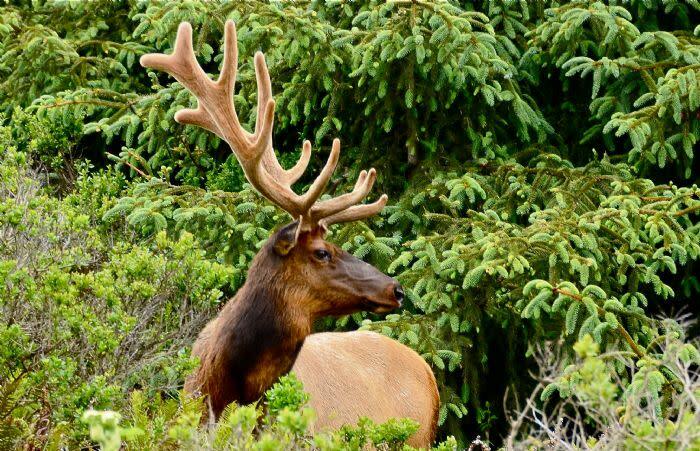 Wildlife viewing includes Roosevelt elk, whale watching, and interesting birding (spotted owl, marbled murrelet, and 262 more animal species). Watch for Roosevelt elk grazing in the prairie. 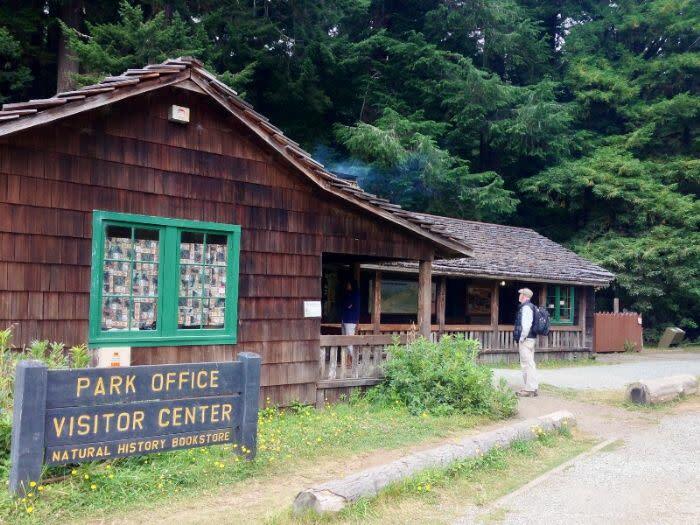 Accessible trails for individuals with physical or visual limitations - Accessibility Features stop at visitor center for trail maps. While sites at Elk Prairie campground may be available on a first-come, first-served basis, reservations are strongly recommended for camping between May 1 and September 30. Reserve online www.ReserveCalifornia.com or by calling 1-800-444-7275. Located six miles off Hwy 101 at the end of unpaved, Davison Rd. RVs no larger than 24 feet x 8 feet wide only, trailers prohibited. Closed during winter months until May 1. 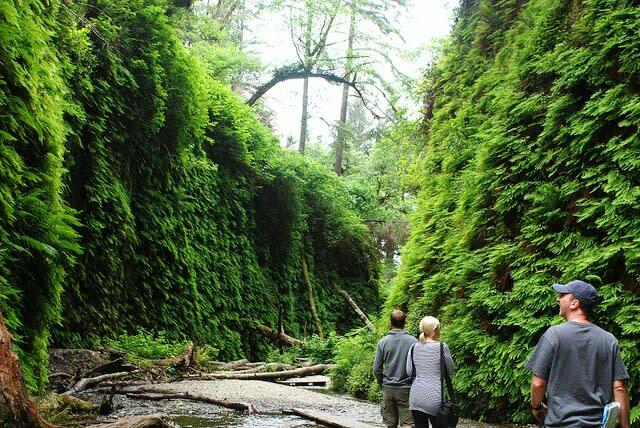 It is a part of the Redwood National and State Park which accounts for 45 percent of all the old-growth redwood forest remaining in California. 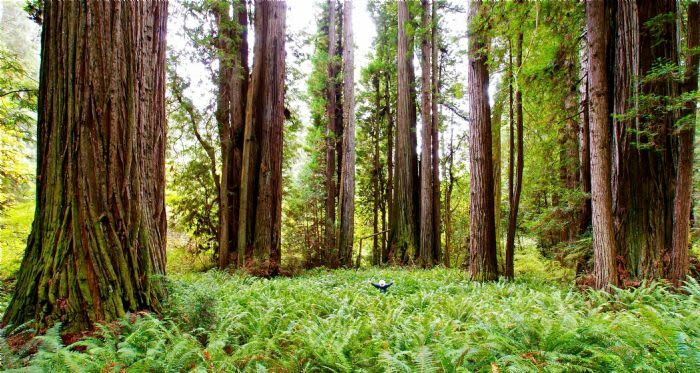 Redwood National and State Park is home to the Tall Trees Grove and now holds claim to the world's tallest tree, Hyperion. Newton B Drury Parkway north of the Elk Prairie Campground is gated from sunset to sunrise.